Cách đây mấy hôm, tôi có chuyển đến Quý Vị bản tin về anh Minh Nguyễn, bị bắt và truy tố, về tội giết người chồng mới cưới, của người vợ cũ. Đồng thời cũng cho biết anh là một người trẻ, giỏi, sáng lập viên Cty Plaxo, và là cộng sự viên với Sean Parker, của Facebook. Nay với bản tin mới nhất dưới đây, cho biết những gì nói về Minh Nguyễn trước đây, đều không đúng. Minh Nguyen has been well-known in Washington, DC, startup circles as an advisor and a serial entrepreneur. Over the weekend, his name reached readers across the world as headline after headline trumpeted murder charges against him. Many of those headlines, it seems, got a piece of this story wrong. Since Saturday, outlet after outlet has followed a story first reported here on DC Inno: Nguyen, Sean Parker’s pre-Facebook co-founder, has been charged with murder. Nguyen, 38, has called himself a co-founder with Parker. In fact, he was a friend of Parker’s, but never a co-founder, say four of the people he would have worked closely with if he had been. The startup was Plaxo Inc. While not a household name, the online address book company rose to Web-2.0 prominence for pioneering controversial viral marketing tactics. Parker, who’d previously co-founded Napster, famously followed up Plaxo by joining Mark Zuckerberg as Facebook’s first president. 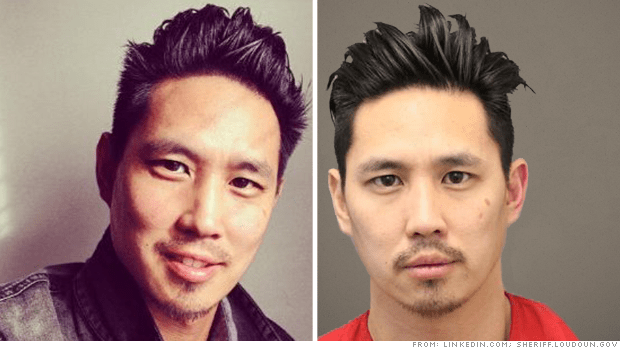 Nguyen’s career had been more muted than Parker’s until Saturday, when DC Inno was first to establish that the Minh Nguyen charged with murdering his ex-wife’s new husband was the same Minh Nguyen who had previously been linked to Plaxo. (Minh Nguyen is a common name.) Court officials on Wednesday said Nguyen had not yet entered a plea or formally named a lawyer. Details of his arraignment are here. You can read the full details of the incident and the charges Nguyen is facing, here. In 2001 Nguyen, a friend of Parker’s*, visited a house Parker had rented near Stanford University. Like a scene from “The Social Network,” Parker hosted gatherings there, part social occasion, part startup brainstorming session, with a rotating cast of characters. “Minh showed up late once or twice but was never part of those discussions,” said one former Plaxo executive. He was one of five sources, all former execs, who have independently confirmed toDC Inno that Nguyen was not a co-founder. Four of them would have worked with Nguyen if he had been. Still, all five former Plaxo-ers agreed: Nguyen was not involved in the founding or building of Plaxo as a company; He never met its investors, nor did he meet most of its employees. Co-founder status can be fluid in early-stage startups, with titles extended and later withdrawn as personnel and loyalties shift. But core people at Plaxo all told the same story: Nguyen was connected to Plaxo socially, not professionally. The source of Nguyen’s putative connection to Plaxo goes back at least to 2006, when a user named Minhn21added the name Minh Nguyen to a Wikipedia article on the company. According to Wikipedia logs, there followed a four-year exchange in which unidentified users would periodically remove the name and Minhn21 would replace it. Nguyen has kept the Plaxo connection current on his LinkedIn page, where he has listed himself as a co-founder in the years 2001-2002. Multiple messages were left for Nguyen on his phone and email, in an attempt to reach a representative who could speak for him. From Wikipedia, the story spread, much like Plaxo’s early viral success. Minh Nguyen’s name appeared in a2008 TechCrunch article about Plaxo’s acquisition by Comcast. At some point, Nguyen’s name found its way into Encyclopedia Britannica’s page on Sean Parker. However, it did not appear in a Plaxo company blog post in 2010, in which chief executive Ben Golub, credited with Plaxo’s turnaround, announced his departure. In one of the few pages on Plaxo’s site to acknowledge founders, Golub thanked them by name. He mentioned Parker, who had been ousted six years earlier, as well as co-founders Todd Masonis and Cameron Ring. He did not mention Nguyen. Masonis and Ring declined to comment. A Plaxo spokesman has so far not returned messages. Efforts to reach Parker personally have not been successful. According to the Associated Press, Nguyen does have an attorney, who has so far declined to comment. Eric Hal Schwartz contributed to this story. Editor’s note: An earlier version of this story had Nguyen attending high school in Oakton, Va., with Parker. On closer examination, that couldn’t be verified. It’s been removed. David Nguyen, the co-founder of the contact-sharing platform Plaxo, is accused of killing his ex-wife’s new husband. The co-founder of Plaxo, a social network from the pre-Facebook era, has been arrested and charged with first-degree murder for killing his ex-wife’s new husband. Minh Nguyen, 38, is known for helping launch Plaxo, an online address book and platform for quickly sharing and synchronizing contact details. The company was bought byComcast (CMCSA) in 2008. He was arrested Thursday night in Ashburn, Va., a suburb of Washington. Police there say he entered his ex-wife’s home and shot Corey Mattison, the man she had just married. Two of Nguyen’s children were in the townhouse at the time. Nugyen’s ex-wife Denise was with their third child when she walked in on the gruesome scene. None of the others in the home were hurt, according to Loudon County Sheriff’s Office. Police arrested Nguyen without any resistance. Nugyen’s ex-wife, Denise, had just remarried in November, according to public notices online. Mattison was a project manager at a glass construction company in the Washington area. Mattison’s colleagues at the small company, who had gotten to know him well over the last eight years, said they were devastated by his death. They described Mattison as a calm listener who spent most of his weekends caring for all the children in his life. He had two elementary-school-aged children from a previous marriage and spent much of his time with his new wife Denise’s three children as well. Kuntson also said Mattison had privately voiced concerns over Nguyen’s incessant interruptions during weekends with the kids.